absolute1.info offers free spiritual ebooks and lyrics for meditation and prosperity thinking, financial freedom, higher self esteem, and spiritual healing. 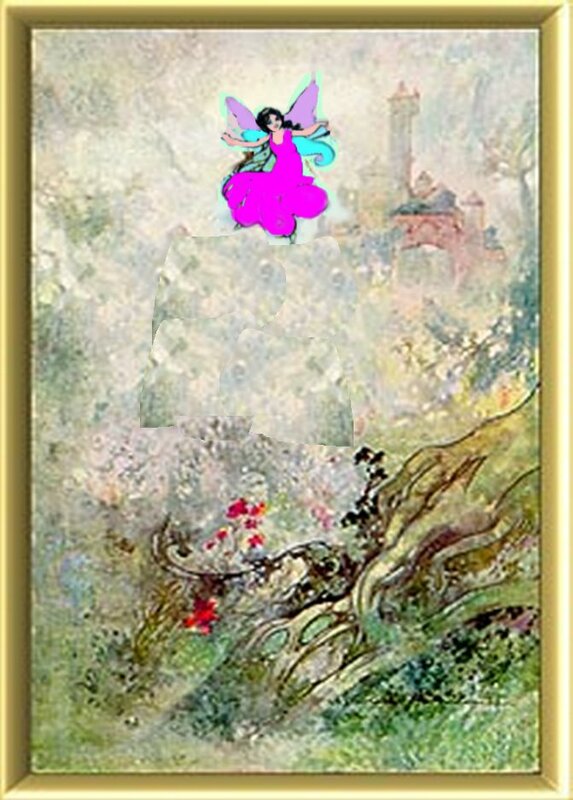 Also features transformational art, fairy tales, children's stories, and coloring pages. The free downloadable spiritual self help Ebooks for meditation, self improvement and empowerment, unleash your power for fulfillment & successful, prosperous living. Motivational books online with inspirational quotes, inspiring poems, & positive affirmations for a new age, to experience complete spiritual prosperity, abundant success & financial freedom, higher self esteem, healing, & graphics & art, childrens stories & fairy tales, on cats, with catpictures & on elfin, with pictures of faeries, and free printable coloring pages at absolute1.info, Dutch also. 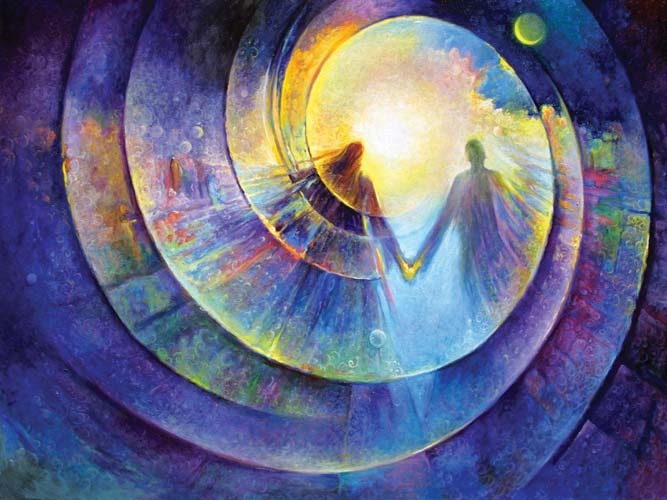 On this page: site overview, links to interesting spiritual websites, and free articles. Articles (on this page) by Gary Sigler, Dr. Robert Muller, Masaharu Taniguchi, Joseph Murpy, Catherine Ponder, Lillian Dewaters, W. John Murray, Joel Goldsmith, Fanny B. James, Emmet Fox and Nick Arandes. To see the rest of the page, you can scroll down with the mouse. A New Vision for Your Life! You are creating all the time! Remember the Powerful & Effective Way to do it! Unleash your power for infinite abundance & prosperous thinking, harmonious relations, success, wellbeing, and self esteem based on your true self worth. Here you can email Margareth Lee, author and owner of this site. Find coloring pictures and fairy drawings, stories, fairytales and spiritual ebooks for children, that build self-confidence. find a growing number of powerful spiritual & self help electronic books (ebooks) and stories of inspiration to unleash your power for fulfillment and success and prosperous thinking. These motivational books with inspirational quotes, inspiring poems, & affirmations for a new age, help you to experience healing, self esteem, complete prosperity, abundant success, & financial freedom and to achieve your life goals effortlessly. inspiring thoughts on self improvement, development of prosperity thinking and knowledge of the law of abundance and universal laws. Joel Goldsmith's infinite way of prayer and wisdom. the vision of mary baker eddy, masaharu taniguchi and margareth lee for success and fulfillment. buy 3 ebooks for the price of one! Buy spiritual ebooks by Annie Rix Militz (Both Riches and Honor), Lillian De Waters (Light of the Eternal), and Joseph Benner (The Way Out & The Way Beyond) and Margareth Lee (Alex in Elfinland). free spiritual & self help ebooks free downloadable books and audiobooks by James Allen, H. Emilie Cady, Mabel Collins, Margareth Lee, Peace Pilgrim, Wallace Wattles, Henry Thomas Hamblin, Emmet Fox, Florence Scovel Shinn, Napoleon Hill, Ralph Waldo Trine, and Kahlil Gibran, to increase success, wealth, wellbeing and freedom. Here you also find many links to thousands of free motivational and self help ebooks and classics. The powerful vision of A Course in Miracles, the wisdom of the Life and Teaching of the Masters from the Far East and motivational and self help books from Louise Hay, Marianne Williamson, Wayne Dyer, Henry Thomas Hamblin, Napoleon Hill, Sarah Ban Breathnach, Florence Scovel Shinn, Emmet Fox, Richard Bach and other authors. Inspiring song lyrics by Kirtana, Peter Makena, Barbra Streisand, Sophia, Twila Paris, & Carrie Norman and others. metaphysical poetry by Emerson, Blake, Wordsworth, Walt Whitman, James Allen, Edwin Markham, & Margareth Lee. Sites where you can purchase spiritual books and products. I use the proceeds of this web site to ad more ebooks and to translate more recent books in Dutch and place them on the site. There are many very profound books in English, that do not offer enough commercial possibilities for Dutch publishers. The Dutch-speaking region is small and an even smaller number of people buy these books. Therefore I am very happy with your financial support. Thank You! or donate through PayPal using your creditcard. 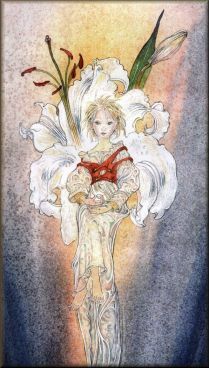 site is owned by absolute1.info with free self help ebooks & childrens stories, art & graphics.. The fourth picture takes you to the healing work of contemporary visionary Dutch artist Marja Lee Kruijt, who lives in England. A league of her own! Do you want to try a game? Click here. Gary Sigler on the fear of deception among Christians There is also an audiofile of this talk. You can download it in two formats: for real player or in MP3 format. You can also download the text as Word (RTF) file here. Gary Sigler is one of the living illumined men. He brings light to the thinking of those who call themselves Christians. A real hero! Read the transcript of Gary's revolutionary vision on the Secret movie here and listen to part I (1 hr 06 min.). On his site www.sigler.org you can listen to the sequel (part 2 and 3). I also highly recommend his talks on "God's eternal purpose". Listen to the voice of Love and Truth. Different style, different words, same message as Gary Sigler. Here is a link to the website of reverend Ike with a generous free course and many wonderful audio's. You can listen here to his profound lecture on the Real Man (59 min15). Lillian DeWaters on wealth, the law of abundance and riches and your true relationship with God. Tony Mase discusses Wallace Wattles' definition of real success. Let go and let God and experience the light and love that is always all around you and in you and your true harmonious and prosperous life of miracles. The path to fulfillment, confidence and harmonious relationships and prosperous thinking. Dr. Joseph Murphy - Oneness with God Profound wisdom from one of the most influential motivational teachers of prosperous thinking and meditation of recent times. 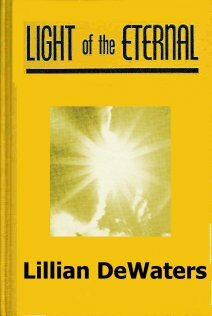 Do you want more books by Lillian DeWaters? We have "Light of the Eternal" for you. Check it out here. 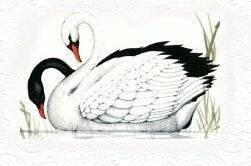 Swan Graphics on this web site from Sygnet: visit her wonderful website sometime. Enjoy her poems! I also want to express my gratitude to the maker of Arachnophilia, the free software used to build this site. It can be obtained at Careware. Read about the wonderful exchange he proposes. We are calling women in India, China, Africa, South America and other socalled ?third world? countries to send us an essay or manuscript in English which will be published for free on absolute1.info. Children's stories are also welcome. In this way we want to help female authors to present themselves. We are specifically interested in work that promotes a philosophy of selfworth, loving yourself and belief in yourself and your possibilities. - it must be sent by mail as a typed document. A version on CD or diskette is also welcome. We do not accept emailed work. - the author has to send a copy of her passport or other proof of identity and a picture. - the work has to be optimistic and hopegiving. - we do not accept hateful language or ideas that are offensive. - we do not accept any complaining documents that offer no insight into one's own responsibility. - the work has to fit in with the general ideas promoted on this website. - work that describes life in a culture that is not western in a way that may be full of humour or emphasizes the power women have and is definitely positive is also welcome. This may be your first step to making a difference! The subjects here are secrets of complete fulfillment, confidence, wisdom, ascension, prosperity, metaphysics, mysticism, meditation, healing, christ consciousness, self help, wealth and infinite abundance, self improvement, success affirmations, truth, miracles, law of attraction, inspiration, gratitude, absolute divine power, the spiritual meaning of money and financial freedom, Their goal is to unleash your power for prosperous thinking, and to experience harmonious and successful living, financial empowerment and self esteem based on your true worth, through self help and motivational and mystical books and teachings. Most of these sites represent New Thought, with Unity as the mainstream. And of course a Course in Miracles representatives. The Infinite Way, established by Joel Goldsmith, has also been included. 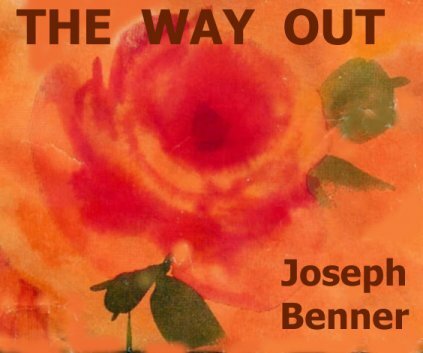 On the page with free downloadable ebooks there are more connections to work of Dr. Joseph Murphy, Peace Pilgrim, the Divine Science Organisation, the Theosophical Organisation, and a download adress for the Bible. The adventures of A Course in Miracles student in Rishikesh in India with ACIM audiobook. A wonderful resource for ACIM and other material. visuallife.net with free ebooks by Lanyon and "Greater Works" by Lillian DeWaters. Here you'll also find many spiritual articles in English and Spanish. Lots of lectures by Joel Goldsmith: Great resource! Lectures by Joel and others at soularenergy.net. The Thunder of Silence and other materials. These are also available on youtube. Read a wonderful account of Joel Goldsmith's life by Lorraine Sinkler! University of Healing from Dr. Herbert Beierle An inspirational and free approach of the life divine. Circle of Light Transformation Webring. Main Focus: A Course in Miracles. Here you can also read some beautiful accounts of miracles, angels and divine intervention. Ask not the sparrow how the eagle soars! If you are looking for freedom from fear, limitation and want, ask the fearless, unlimited and free, the ones who are Masters of their own life. The Ancient Arrow Book Tell me what you think of this book. I have not had time to read it. Audiofiles by Walter Lanyon on Gary Sigler's site, www.sigler.org. Duinit.com where you can download a free e-course "Superpowers". Get more meaning out of life now - Learn the real secret of success, the meaning of life for you. Discover the power behind a purpose driven life, and finally create and enjoy the life you've always wanted. FREE Success Tools and more!" New Thought Online Books great site with many free metaphysical books. Most of them are on the law of attraction and other spiritual laws and how to live the life of your dreams. OfSpirit.com is a "holistic magazine and resource" for education, entertainment and empowerment. Find news, articles and business listings on everything from Acupuncture to Zen. My new German website with spiritual ebooks www.beste-buch-online.de in cooperation with Edwin Reitsma. 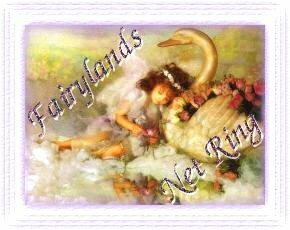 A land of mystical magic and wizard wisdom..... Home of Merlin's Message, Ask Merlin, the Creating Camelot Club, and more. Not free but great books and audiobooks by Arnold Patent Here is truly straight talk about the facts of this illusion we call life! It's ending in light and laughter. Here is a page with his books. Also check out his recordings page with humorous inspirational music by Bud Moore. Or listen here to exerpts from Bud's songs. free eBooks.net: Here you find the Jews for Jesus eBook Collection. The New Testament in many languages and also audio Spanish, Swahili, Albanian, Russian, Dutch, French, Arabic, Chinese, etc. All Your Dreams are meant to be fulfilled by Nick Arandes Simple, direct and clearly from the Christ Mind. Here you can read an article by this successful author, entertainer, comedian, and singer: Nick Arandes on Positive Thinking. At youtube you can listen to the audiobook. Here is a link to the beginning. Time of the End An interesting site where you can download the ebook by George Ritz. Diesel-ebooks - free ebooks in the Microsoft lit format and eBooks for palm/ereader. Also an abundance of contemporary ebooks. 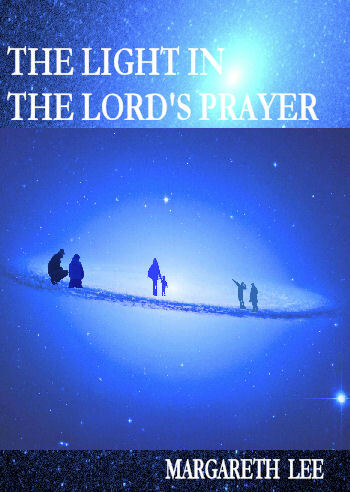 Gary Sigler's Ministry with his delightful writings and numerous audio's of his inspiring sermons. A new enlightened Christianity, as Jesus intended it. freedomvoice.net Anthony den Hartog 's writings and audio on Truth in Scripture. The Forgotten Books of Eden and other ancient books at sacred-texts.com. Theosophical University Press Online Here you find more books by Mabel Collins. New Thought Online Books for Self-Help, Self-Improvement. Here you also find a modernized version of H. Emilie Cady's 'Lessons in Truth'. And 16,000 free books! New Thought Online Books Another way to access this great site with more than 100 free metaphysical books. Lectures and audio by Neville Goddard a great illumined speaker on metaphysical themes. Audio books from Neville Goddard, Joseph Murphy and Florence Shinn, read by Ananda. On youtube you can also listen to many audiobooks and lectures by Neville Goddard. I love audio talks and interviews and I want to share some of my favorite resources with you. Added Octobre 2008: On Michelle Blood's website I found ringtones by a wonderful teacher, who really uplifts and inspires me and gives me great joy. Here is a link to the website of reverend Ike with a generous free course and many wonderful audio's. In the seventies this teacher became immensely popular and thus visible. This immediately alerted ego to the effect he had on the consciousness of millions of the ego's slaves. Ego wants the poor to remain in poverty and limitation. So the teachers who teach those who are already well off and didn't have much impact, are left alone, but the one unique teacher who really wants to redeem the poor, is attacked immensely. Don't let any of the slander about this enlightened soul hold you back. Since Jesus no teacher has been attacked more viciously. However, he has lifted the consciousness of millions. There is talk that his teaching had never advanced anyone. Mark Victor Hansen, the co-author of "Chicken Soup for the Soul" testifies differently. Hundreds of millions of copies were sold of his books and he is one of the few current teachers who openly attributes his success to reverend Ike. Reverend Ike's explanation of the Bible is so lofty and so simple at the same time, anyone can understand it. He transitioned on July 28 in 2009. His body translated into a higher vibration and he ascended into light, but the work of this great metaphysical teacher for our transformation will continue to uplift, inspire and enlighten all who come in contact with it. From his website I have for you his reaction to the accusers: "Don't even see accusers. Every accusation is self-accusation". You can listen here to his lecture on the Real Man (59 min15). Michele Blood has created MusiVation which is powerful affirmations set to pop music. This way the powerful new thoughts enters into the treasury of your subconscious mind and bring about immediate change to your amazing mind. Simply listen to each daily song and watch your life dramatically improve. On her site you also find an audio ebook by Wallace Wattles, "The Science of Being Great". Listen to a free chapter. For a long time I ecommended Anisa Aven and now that she has an affiliate program, we have become partners. Anisa Avenis a great life coach, who has real practical advice for the use of the law of attraction and other spiritual laws in your life and business. Go to her website and receive lots of wonderful free audio's and a free course. Her newsletter is also great. Hearing God's Voice ACIM teachers, DavidPaul Doyle and Candace Doyle, teach people how to hear the Holy Spirit (www.thevoiceforlove.com/holy-spirit.html) within them. News for the Soul Radio by Nicole Whitney. You can hear all free interviews with many contemporary spiritual leaders, like Robert Scheinfeld, Bob Doyle, James Ray, Mike Dooley, Joe Vitale, Mellen-Thomas Benedict and many others I have not yet listened to. Nicole recommends Kerrie O'Connor and Satyen Raja warmly. There also are a few who are demonstrating what not to follow. We need those mirrors too, don't we? Hayhouse Radio is also a great resource. I have listened to and recommend Marianne Williamson, Michael Neill, and Law of Attraction specialist Esther (Abraham) and Jerry Hicks. If you search Youtube, you can find several videos with Esther Hicks. She gives a good and detailed explanation of the Law of Attraction. For those visitors who don't know the work of Esther Hicks, who channels Abraham, you can listen at her website to many talks and explanations of the law of attraction (LOA). There is also a lot of video material from her workshops on Youtube. If you want to hear Who YOU really are, listen to Course in Miracles Talks by teachers of God. I have only listened to a few of the teachers listed here. I warmly recommend Glen Palmer, who I personally know as a genuine teacher and also Helen Gordon and Lenny Rose. And of course Arnold Patent. Great teachers who are not sharing their fears with you, who are speaking from the Christ Mind. Connecting with them is a wonderful experience. I am very grateful to have them in my life. They demonstrate the healing of my mind! Bridging Heaven and Earth Show, an interview with the remarkable Rev. Michael Beckwith. God is literally Birthing a New Creation Son throughout the Earth Today. Not out of the Old Adamic Nature but out of the Christ Nature which is Gods Original Expression. We are literally Being Birthed out of the Earth and into the Eternal Kingdoms as we Speak. ... TODAY IS THE DAY OF SALVATION. Listen to his teaching about natural man and spiritual man. 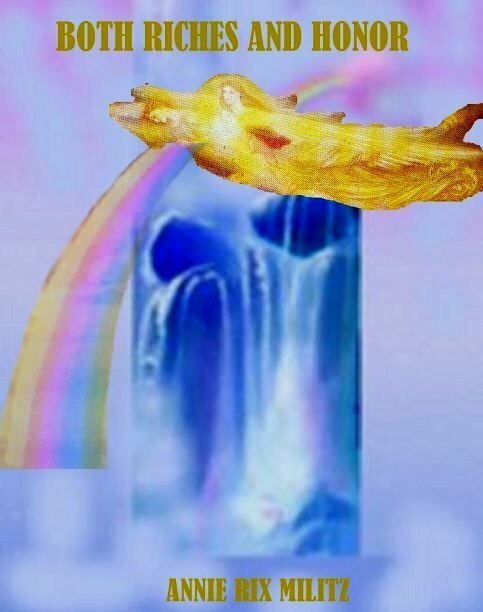 Another great source of free video, audio and transcripts of their services is www.spiritworkscenter.com In this short video Reverend Dr. Harry Morgan Moses teaches about the cosmic sweep of love.  In my own daily experience this is a blissful energy that envelops one and I call it the glow. The energy itself is very satisfying. Nothing compares. Dr. Harry Morgan Moses is an awakened teacher of God, in the tradition of Ernest Holmes. SpiritWorks is a Joyous, Prosperous, Creative, Teaching Center & Spiritual Community that reveals and celebrates God's nature. They say: We exist to inspire, nurture, enlighten, and empower everyone. And this the people at SpiritWorks really, really, really, really, really, really, really, really, really do! Did that sound familiar? The lovers of Abraham have undoubtedly recognized an Abe-ism. They teach the Law of Attraction, an old favorite of many of our writers here at absolute1.info. Did Joseph Murphy, Charles Haanel, Wallace Wattles, Napoleon Hill and all those who told us about the LOA get their inspiration from Abraham? The Source is One and teaches fundamentally that the basis of your life is freedom. The purpose of your life is joy. For those who don't know Abraham, channeled by Esther Hicks, (though I can't imagine there is anyone like that left on the planet), here is a link to their website and video's on youtube. We must be asking better questions, because they are getting better all the time. For their products and newsletter visit their website. In the second video Esther explains why appreciation is so powerful in transforming our experience, as well as how we can cultivate appreciation, how we can use it, and why an emphasis on gratitude is less effective. From their numerous video's on Youtube, I chose this one, because it makes a great point: real transformation always comes with deep appreciation for everyone and everything, no matter what it looks like. If you're like me, you would love to help make this world a better place. It is so wonderful to be able to give! Recently I joined an organisation, Kiva.org where you can help people in developing countries start a business with a small loan. It is a huge succes. More than 97% of the loans have been paid back in full. Another good cause that I recommend is Room to Read. They deliver books and educational materials wherever needed. God is all, both invisible and visible. One Presence, One Mind, One Power is all. This One that is all is perfect life, perfect love, and perfect substance. Man is the individualized expression of God and is ever one with this perfect life, perfect love, and perfect substance. You can read Divine Science Interpretations of Christian Doctrine here. THERE IS NO GOOD OR EVIL, THERE IS ONLY GOD!